Nearly half of family lawyers believe that individuals are likely to conceal assets during divorce proceedings following the 2010 Imerman ruling, whilst a further 35% consider it a possibility, according to Grant Thornton's eighth annual matrimonial survey. The Court of Appeal judgement on the Imerman v Tchenguiz case upheld the initial ruling that the information Lisa Tchenguiz and her brothers had downloaded from her husband's computer, without his knowledge, could not be used during divorce proceedings. This ruling effectively overturned the so-called Hildebrand rule and established that documents pertaining to a spouse's financial position which are obtained secretly, even when under the belief that information is being concealed, are inadmissible. Almost a third of respondents (30%) expressed concern that as a result, clients would no longer be able to obtain fair settlements, with well over half (61%) believing the ruling will lead to more assets remaining undisclosed, affecting the accuracy of Form Es. "The ruling has sent ripples through matrimonial circles. There is widespread concern that it unfairly strengthens the position of any spouse wishing to conceal assets which in turn could lead to settlements that are unfair; particularly for those who cannot afford to take the necessary legal steps to obtain documents which would conceal the true financial position," commented Sally Longworth, Partner at Grant Thornton's Forensic and Investigation Services practice. "On-going high profile cases such as that of Scot and Michelle Young, where Mrs Young alleges that her husband is hiding his assets with celebrity friends, have once again highlighted the issues surrounding allegedly hidden assets, however it is worth bearing in mind this is not an issue that solely threatens the big money disputes, but also the everyday cases," continued Longworth. Following the implementation of the Family Procedure Rules in April 2010, 38% of solicitors surveyed were concerned that the requirement for couples to attend a compulsory mediation assessment meeting would place undue pressure on the weaker party to mediate. Two thirds of solicitors (67%) also expressed concern that some parties could take advantage of the potential delays arising from the requirement for mediation assessment meetings by moving or concealing assets. "Although most solicitors view mediation as a positive way to resolve problems in family cases, some of the issues arising from the new rules are concerning. That individuals may be coerced into mediation by the stronger party is against the idea of mediation where participation should be voluntary and parties cooperative. The requirement for compulsory assessment meetings seems likely to have timing implications, and may give those pre-disposed to concealing assets a greater opportunity to do so," said Longworth. The year on year rise in pre-nuptial work continued with 58% of respondents saying that they had seen an increase in volume. With the Radmacher v Granatino ruling being one of the most significant of 2010, 59% of those surveyed said that they expected further increases in volume over the coming year. Making pre and post nuptial agreements legally binding has dropped from the number one area of legislation where family solicitors wanted to see change in the 2010 report, to the number four concern. Protection for cohabiting couples (27%), the introduction of the no fault divorce (24%) and clearer guidance on self-help following the Imerman ruling (23%) have been the top three concerns cited respectively. 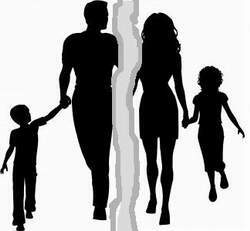 "Although the increase in pre-nuptial work undertaken is not particularly unexpected, the impact of increasingly complicated family relationships, as people enter second or even third marriages, means that this is an area which may be set to gain even more importance. It is also interesting to note that the Radmacher ruling appears to have offered clarity to the industry as the call for definitive legislation has slipped down the agenda," concludes Longworth.